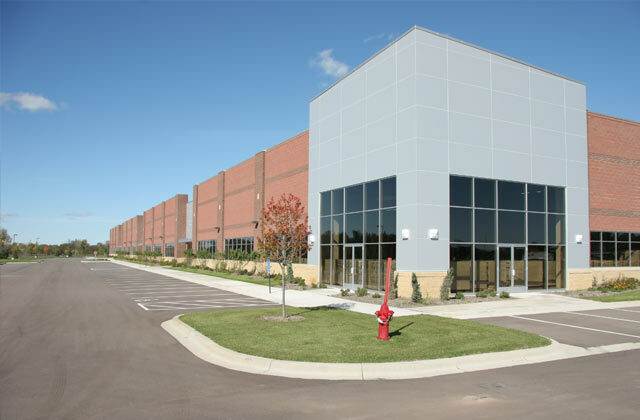 The 135 acre project developed 850,000 square feet of office/warehouse and light industrial, 2,800 surface parking stalls, the extension of Pheasant Ridge Drive and 30 acres of wetland restoration. Alliant worked cooperatively with the client, city and watershed Staff to develop a plan which maximized the potential provided by the stakeholder’s planning for the area. In particular, innovative stormwater management techniques and wetland excavation spoils minimized fill quantities and storm sewer, which resulted in a significant savings to the project. The project required a Comprehensive Plan Amendment, Rezoning, Platting, EAW, Army Corps and FEMA involvement.